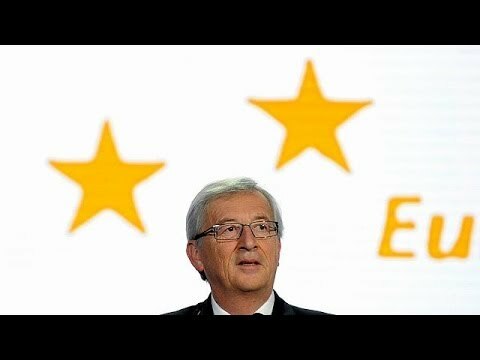 Far-right rises in European Parliament elections, but is it a 'Euroquake'? Some 400 million eligible voters, 751 seats, 28 countries: a portrait of true democracy at work – unless they held an election and nobody came. Average voter turnout in the weekend’s European Parliament (EP) elections was an estimated 43.09%. That’s a stunning 0.09% improvement on 2009. In the least-developed areas of eastern and southern Europe, enthusiasm for democracy is waning. In Croatia, which joined as recently as July 2013, turnout was an apathetic 25.06%. In Slovenia, it was under 21%; in Romania, 32.16%. Despite having their bank deposits frozen in 2013, only 43.97% of Cypriots showed up at the polls, compared with 59.4% in 2009. Greek voters, fired up by two years of harsh austerity, produced a modest turnout of 58.20%. Results so far indicate a slide towards the Eurosceptic and far-right parties. In Britain, Nigel Farage’s UK Independence Party (UKIP) has made dramatic gains in both England and Scotland. UKIP is estimated to have won 27.5% of the vote, giving it 23 Members of the European Parliament (MEPs), versus 25.4% for Labour and 23.94% for the Conservatives. The Liberal Democrats, led by Britain’s deputy prime minster, Nick Clegg, have been the big losers. The Liberal Democrats won 11 seats in the 2009 election, but have won only one seat at this stage. The most traumatised victims of this “rightslide” have been mainstream politicians and powerful vested interests. Jean-Pierre Bel, the president of the French Senate and Socialist Party MP, described the results as a “real trauma”. Let’s place these results in perspective. First, voters care little for the European parliamentary elections, as consistently low turnouts demonstrate. Since the EP’s first direct elections in 1979, voter turnout has declined with each succeeding election (until the small increase this year). In Britain, turnout has fallen below 35% (34.19%). You would need to be a serious EP buff – a rare bird indeed – to name your MEP. Second, for most voters, EP elections are simply pro or anti-European polls. Unlike national elections, they are not about controversial political issues, such as health, education, pensions, income tax and housing costs. Consequently, it’s easy to squander votes on fringe parties and send a protest message to the mainstream political parties in Berlin, Paris, Rome and London. Third, with the exception of German chancellor Angela Merkel, not a single political leader in Europe survived the Eurozone crisis and the austerity regimes it ushered in. Gordon Brown, Nicolas Sarkozy and Silvio Berlusconi are all long gone. Despite strong results in Britain and France, the European right has not been uniformly successful. For example, in the Netherlands, Geert Wilders’ anti-EU, anti-immigration Party for Freedom experienced a decline, falling to 12.2% of the vote, compared with 17% in 2009. 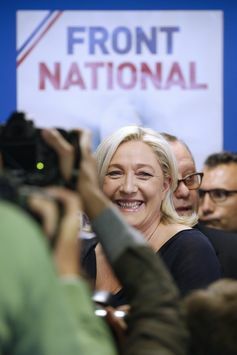 Marine Le Pen’s far-right Front National led the French vote in the European Parliament elections. Meanwhile, in France, the mainstream conservative and socialist parties have been sent reeling. On preliminary figures, the far-right Front National, led by Marine Le Pen, has won 25.4% of the vote, well ahead of the conservative Union for a Popular Movement (21%) and French president François Hollande’s Socialist Party on 14.5%. Again, some perspective. Only about 43.5% of French eligible voters turned out. The Front National received just over one-quarter of 43.5%, in other words. The rest of the French population was focused on where the real action is: the French Open tennis at Roland Garros. Conversely, in Greece, the left-wing parties made the biggest gains. The Syriza party claimed victory with 26.51% of the vote, compared with the conservative New Democracy’s 23.13%. However, the anti-immigration Golden Dawn polled almost 10% (9.34%) of the vote. Overall, what the election results tell us is that the outcomes are deeply rooted in national and provincial politics. Farage has launched a triumphant broadside at Britain’s mainstream parties, claiming that UKIP’s results have “terrified” the political establishment. Marine Le Pen has made similar claims for the Front National in France. Not so fast. Austerity elections unleash bitter, justifiable voter resentment. In fact, mainstream parties will be relieved that voters have got this off their collective chests. Britain has a general election in 2015, after all. Centre-left and centre-right parties will continue to pander to the far-left and far-right in order to win their votes back. That means criticism of the European Union in public; it means opposing immigration; but it also means that the political professionals will devote considerable resources to tearing down the minor parties. After all, political professionals did not get where they are by playing softball. Finally, this EP election will be remembered for making Farage and Le Pen major political figures. But the future success of UKIP and the Front National will depend largely upon how expertly these leaders and their cadres transform their parties from fringe actors to mainstream, professional political players in a national election that truly “matters”. Remy Davison’s Chair is funded by the EU Commission.